Today I had the chance to see the new biopic called The Man Who Knew Infinity. While nothing too spectacular it is a solid inspirational true story about someone I knew nothing about before seeing the film. 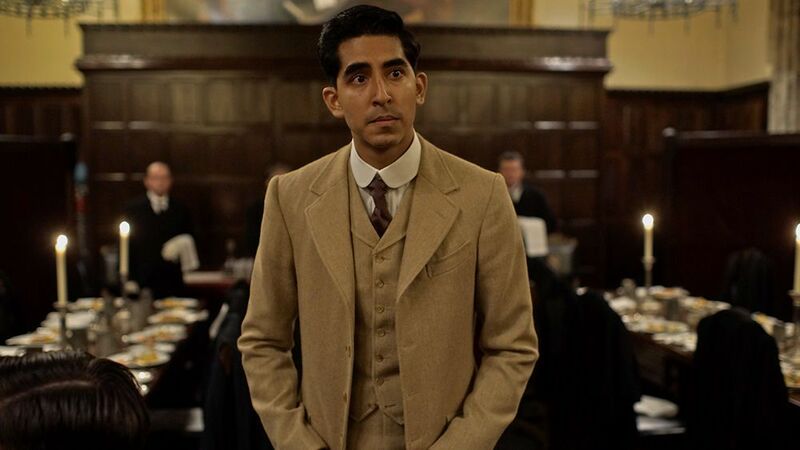 Infinity stars Dev Patel as real-life mathematician Srinivasa Ramanujan who grew up in a poor neighborhood in Madras, India but had a knack for numbers and mathematical formulas. He even believed the formulas came as visions from God to him, and he knew he needed to share them with the world. He also gets married to a gorgeous Devika Bhise who starts off doubting his endeavors but ends up supporting him going to England and meeting with professors at Cambridge. 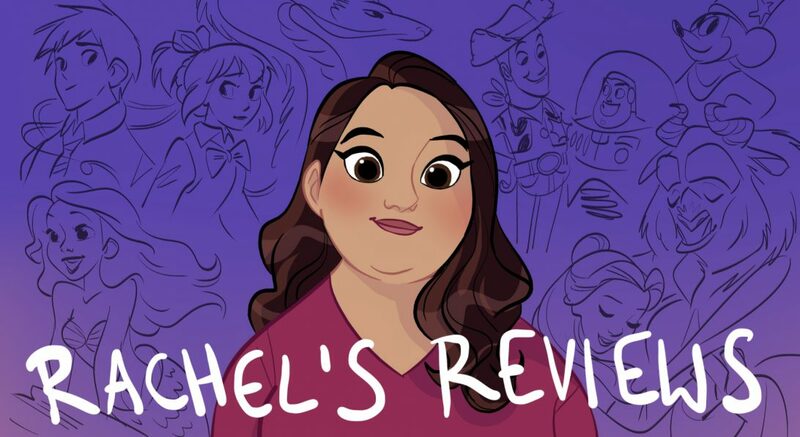 I thought her and Patel had a nice chemistry together and kind of wish the movie had just been about their relationship (of course that wouldn’t be true to life but I would love to see something else with the two of them in it). 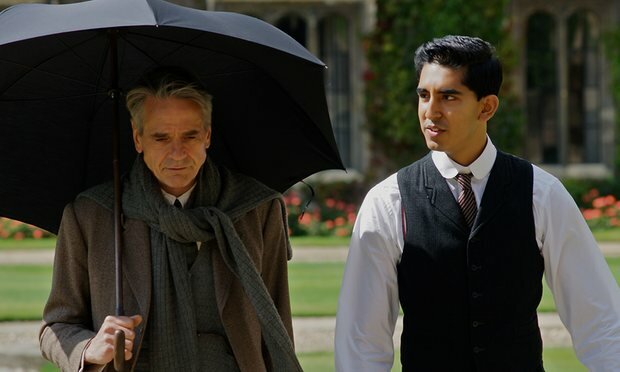 Ramanujan meets a professor named GH Hardy played by Jeremy Irons (I guess this is his year for biopics with already appearing in Race). The two men become friends despite their cultural and religious differences. 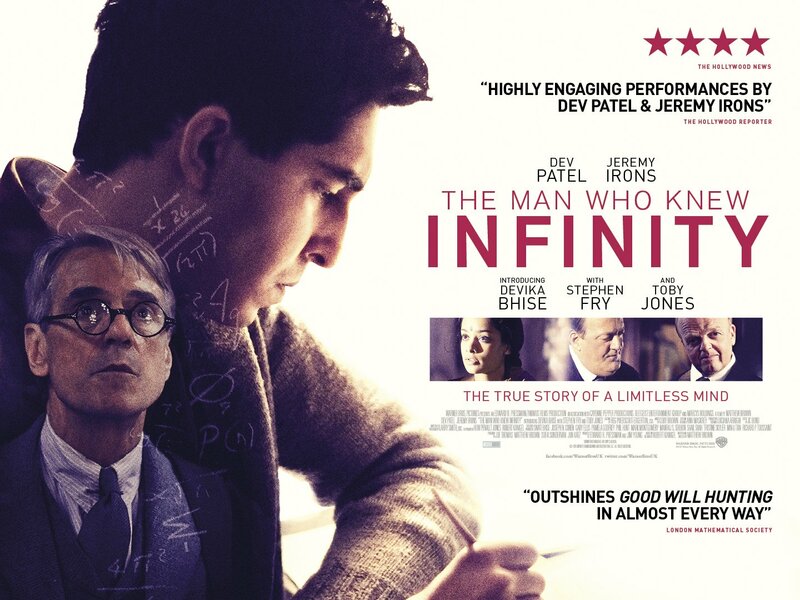 Ramanujan is all about the new idea while Hardy encourages him to find the proofs behind the inspiration. To be honest, this is where the movie lost me a bit. They weren’t successful in explaining the math to a math moron like myself and I got a little bit bored watching them at chalkboards working out equations. I’m sure what they were doing was groundbreaking but since I don’t understand the math or concepts it was hard to get excited. Theory of Everything had its problems but it at least made tough concepts easier to understand than this did. Same with Imitation Game. The Man Who Knew Infinity ends up being a tragedy but that part of the film is highly predictable. Still I didn’t mind it following basic, by-the-numbers biopic formulas. I don’t need every movie I see to be new and different. On the whole it is dry during all the math talk and the conversations between professors about whether to ‘grant the Indian fellowship’. That was boring but the relationships were good and the performances sincere. I liked supporting work from Toby Jones, Jeremy Northam, Stephen Fry and Arundhati Nag as Ramanujan’s mother. Bi0pics on big names like rock stars, generals and inventors are great but I also enjoy these more obscure films as well. The Man Who Knew Infinity tells a good, if standard story and I’m glad I saw it. I would recommend it a rental when it comes out at the Redbox or a stream on netflix. Are any of you seeing The Man Who Knew Infitity? What did you think? What’s your favorite biopic? Walk the Line and My Left Foot are two of my favorites. This is definitely high up on my list to see especially as I’m a math minor.